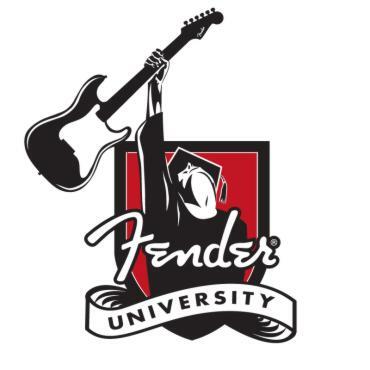 Fender Musical Instruments Corporation is launching Fender University, a music education program for guitar enthusiasts worldwide. The inaugural session will take place Aug. 21 – 24, 2008 and will offer exclusive, behind-the-scenes access to the company’s manufacturing headquarters and world renowned Fender Custom Shop in Corona, California. The curriculum will also include a series of music workshops, hands-on education experiences, performance opportunities, special guest appearances and insight on everything musicians need to know about Fender. Enrollment into the inaugural session is limited to only 35 guitar and bass scholars worldwide and is open to players of all skill levels and musical styles over the age of 21. Registration information is available exclusively through the specialty Web site at www.fender.com/university. Fender recently appointed Richard McDonald as Honorary Dean of Fender University. McDonald began his music career as an aspiring student of Fender at age 14 and later went on to become a professional musician for nearly a decade before joining Fender Musical Instruments in 1993. He currently serves as senior vice president of global marketing for the company. Get an accelerated degree philadelphia for your career advancement. © 1997 © 2011Pro-Music-News. All rights reserved. Thank you for visiting Pro-Music-News.